Stern trolls us with a LIVE, partially obscured gameplay video of Ghostbusters Pinball. Sneaky, Stern very sneaky. We needed someone to do that “Tournament Lean-over” to get a better view. 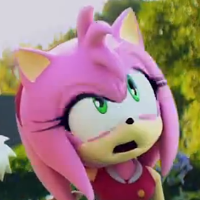 Amy Rose is not pleased with the trolling, but her wallet is ready.